Absorb the tranquillity as you meander through the narrow, charismatic streets and open squares, noting the blend of Arabic layout and design with eighteenth century grandeur and ornamentation. Many of our walks at Wildside Holidays are village to village and pass through the stunning surroundings of lush Mediterranean woodlands and high mountain passes, with each white-washed population cluster separated by impressive scenery. 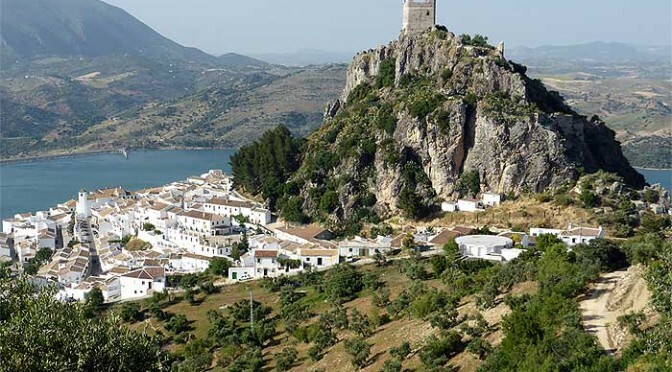 Encompassing the north east of Cádiz and north west of Málaga provinces, this area is saturated in history with palaeolithic cave paintings, neolithic dolmens, bronze and copper age remains, Roman roads, Visigoth fountains and Moorish towers. For the most part, this tour takes us through towns created during almost 800 years of Muslim settlement. Berber tribes arrived here in around 714, coming from similar mountainous terrain in Morocco. They chose easily defended sites and built watch towers as an early warning system against attack. All of which was needed as this area was a lasting frontier between the Muslim and Christian kingdoms. 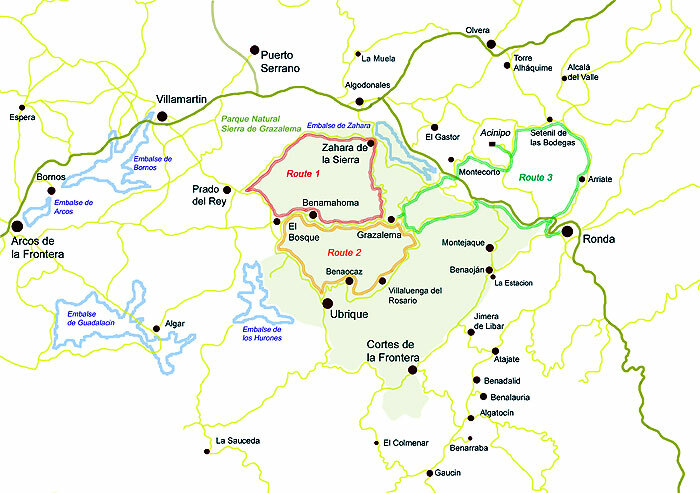 The Moors were killed, expelled or converted to Christianity in this area in around 1483-5 under the command of Don Rodrigo Ponce de León, Marquis of Cádiz. 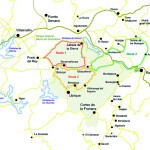 This part of Andalucía has seen many fluctuations, with a steep population decline during a Black Death epidemic ‘Epidemia de peste’ in the 12th C, the French invasion ‘Guerra de la Independencia’ 1808-1814 and an economical boom and growth in the 18th and early 19th centuries. A time when Bandits ‘Bandeleros’ lived in hiding and stole from the wealthy, often attacking travellers in the mountains and forests. 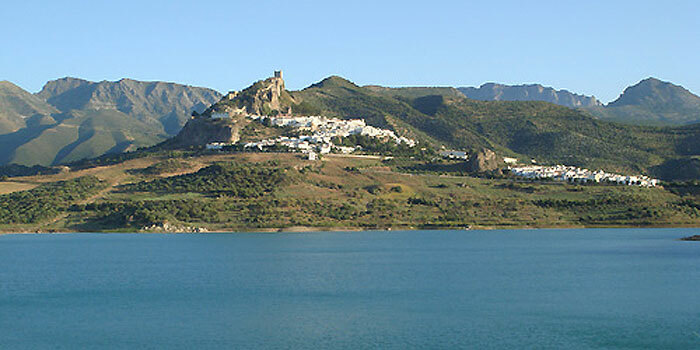 The ‘Pueblos Blancos’ or White Villages of Andalusia preserve a cultural heritage. And whilst each village displays its individual history and continues to pass on artisan crafts through the generations, they also embrace modern living and offer the visitor many conveniences. Olive Oil, Iberian cured ham and cold meat cuts, cured – spicy sausages, trout, wild boar, rabbit, venison. Cured and fresh cheeses from sheep, goat and cow’s milk.